Sometimes even the best-laid plans of a woman (and a man) fall apart when it comes to the weekend. After all, you have worked hard all week to keep fit, and you NEED the weekend to cut loose and recharge. But sometimes that all too short break can be a recipe for disaster. Here are some tips to help anyone keep fit this weekend. The idea here is a simple but effective one. By moving (or adding) your weigh-in day to Saturday morning, it puts your physical fitness and weight loss on your weekend radar. Hopefully, if you plan on going out and enjoying the rest of your weekend, this serves as a reminder to keep the celebrating in check. A Saturday morning weigh-in will also let you take a quick status check on how you are doing with your weight. If it helps, you can think of the scale can serve as a very efficient bio-feedback mechanism. Put it to work this Saturday while there’s time to take control for the weekend. Weekends are a great time to have a fat-burning adventure. You can go for a walk on your favorite local trail, explore nature a little and celebrate being out of the office. You can even be active with the kids if you have any. Maybe you would like to go for a swim or a bike ride. Ite’s easy to get a good exercise and keep fit while having fun doing it. These weekend exercises add up, and they translate to pounds lost (or maintained in case you overdo it other ways on the weekend). For example, MayoClinic calculates that a leisure ride on a bike will burn about 290 calories an hour. Imagine if you managed to do this or something similar on all of your weekends for a year. This would give you a total burn of (290 x 52) about 15,000 calories. Translated to pounds, that alone will help keep you almost 5 pounds trimmer this year. So, escape and get some exercise this weekend. If you don’t do it for the calories, do it for the stress anyway. You’ll feel the worries (and the weight) melt away when you have a fun weekend adventure. Something that is easy to overlook is how much calories there are in alcoholic drinks. A lovely glass of wine can have 120 or more calories. Even 12 ounces of beer can set you back 150 calories. But the horrible part about alcoholic drinks is in the way they lower your inhibition and raise your appetite. This is a double whammy to your weight loss goals and can lead to excessive overindulgence. The best way to minimize this happening is to go with lower alcoholic choices for your drinks. You can still celebrate, but keeping your willpower up is not a bad thing for both better eating habits as well as safety. Sunday is a great day to scale back the weekend party and getting your eating back under control. And while you are at it, get some rest. Our bodies work at peak efficiency with the right amount of sleep and rest, so using Sunday to recharge and digest bigger meals from Friday and Saturday puts you at an advantage. Done right, you can walk in to work on Monday, both rested and on track with your health goals. 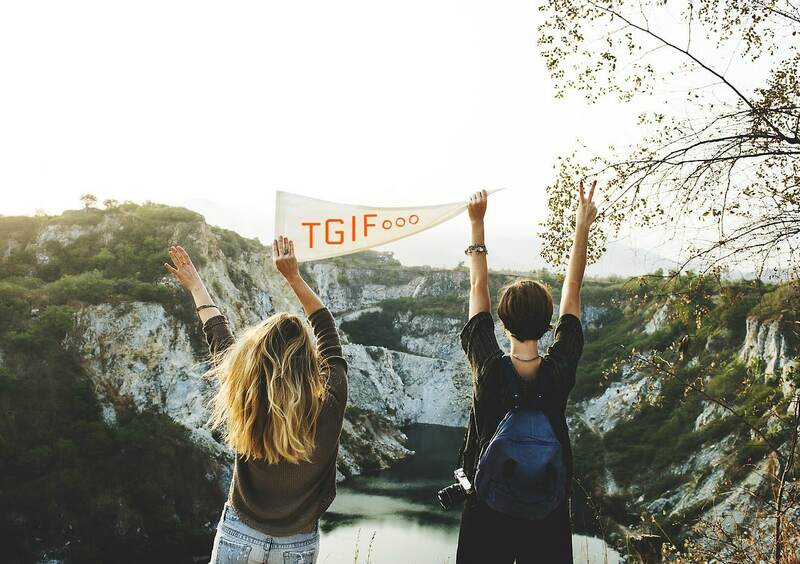 Once you see how much better you perform both at work and on your health goals, you may want to consider making a consciously healthy approach to the weekend a habit. Not only does this help keep you on track through regular behavior, but it also makes it simple to recover in case you do have a bad weekend. It’s not what you did last weekend that matters. Rather, it’s how you did over all the weekends in the past 6 months or longer. Healthy habits over time make a difference and help you to keep fit. 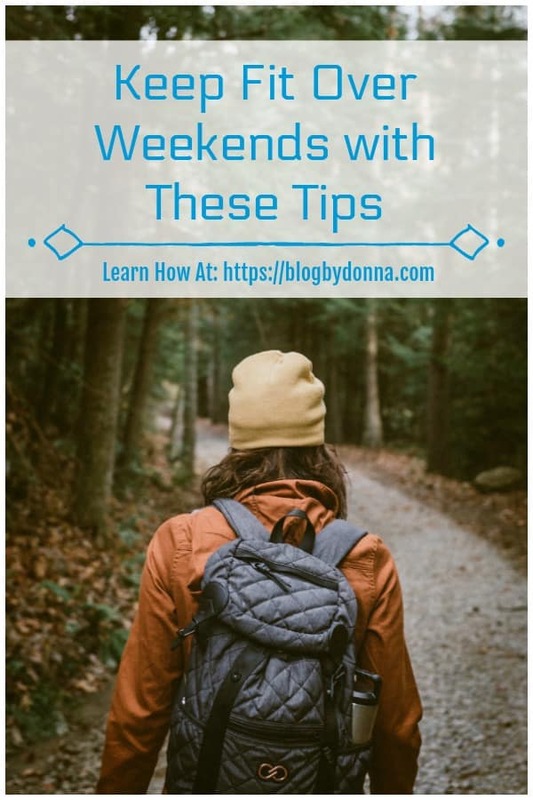 With a little strategy, you will find that your weekends keep you on track for a healthy body and mind. With these tips, you can even stay on track through your weekend while still celebrating another hard week in the books. That sounds like a good idea to me.